What is the History of the Servicemembers Civil Relief Act? HOME > Blog > General > What is the History of the Servicemembers Civil Relief Act? The history of the Servicemembers Civil Relief Act (SCRA) dates back to the Civil War era. The SCRA is a federal law protecting active-duty personnel from the distraction and inconvenience of collections actions back home. After the Civil War, a moratorium was passed to suspend certain actions against Union soldiers and sailors. This included contract enforcement, bankruptcy, foreclosure and divorce proceedings. These prohibitions were formally codified in the Soldiers’ and Sailors’ Civil Relief Act of 1918. That act expired after World War I, but it came back as the Soldiers’ and Sailors’ Civil Relief Act of 1940. In this version of the act, which had no expiration date, Congress again maintained its strong support for protections to personnel on active military duty. 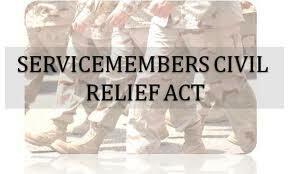 The Servicemembers Civil Relief Act, passed in December of 2003, restated and renamed the old act. Congress passed amendments and continues to do so. The continuing changes and updates to the SCRA (many of which deal with how long the protection period is after the end of military service relating to foreclosures) can make compliance difficult. The best way to avoid violating the SCRA is to check each client’s military status before taking action against them. Proof of military verification status in hand makes court proceedings easier. In addition, it is incumbent on businesses, lenders and legal professionals to stay current on the evolving changes in the code, both at the individual SCRA State laws as well as Federal Statutes. The Servicemembers Civil Relief Act Centralized Verification Service provides accurate, prompt military status verifications. Depend on SCRACVS to get the documentation you need prior to taking action against a servicemember.